Brightest, best color reproduction at this resolution. 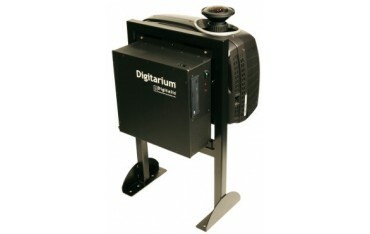 The Digitarium® Epsilon Fixed model is a digital planetarium system designed for use in permanent domes. This system can be used in either a full dome or a truncated projection mode. It is very similar to the Digitarium Gamma Fixed model, but offers higher resolution (about 30% greater in full dome mode and 56% greater in truncated mode). Full dome/full sky projection is available at a projection angle of 155 degrees. This is ideal for fixed domes, as the projection system is placed below the springline of the dome out of audience sight lines. In truncated projection mode, a 1344 pixel diameter truncated circle (truncated to a 1920x1200 pixel frame) is projected at a 180x155 degree projection angle. 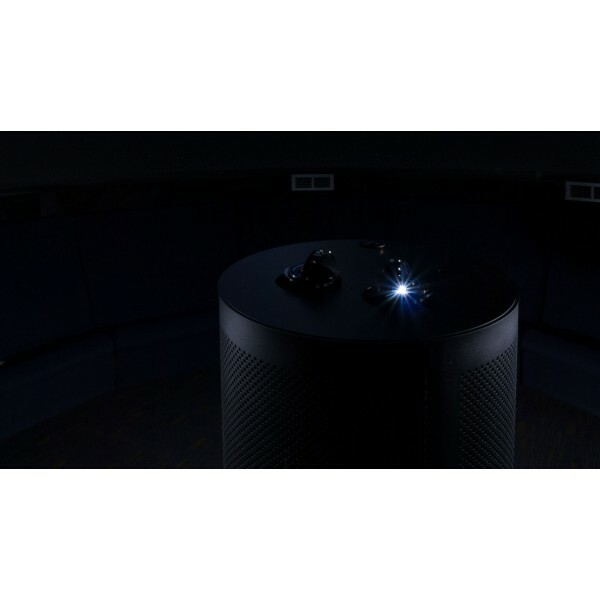 This mode is typically best suited for high resolution wide angle immersive movie uses with unidirectional seating. The planetarium features will still work, but with part of the sky missing we don't recommend this mode for serious astronomy education. 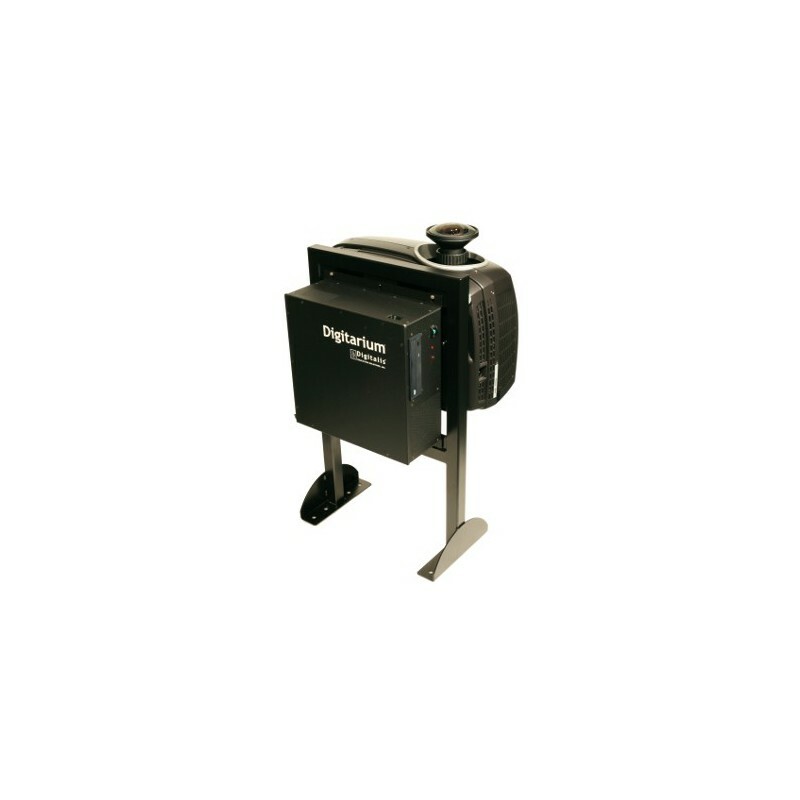 This model has the same unmatched usability of other Digitarium systems with our exclusive backlit, handheld remote control. 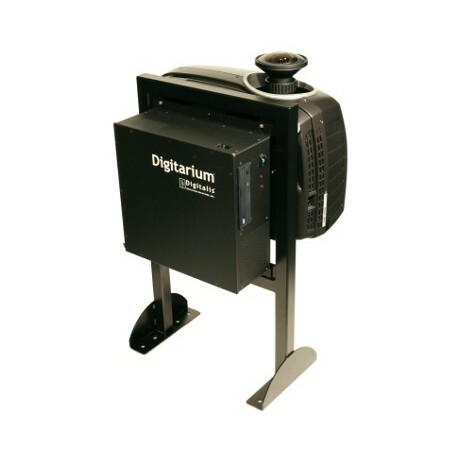 The Digitarium® Epsilon Fixed model is designed for those who want high resolution and excellent projection quality in a fixed Digitarium system but can not afford the Digitarium Kappa Fixed model. If you intend to show a lot of fulldome video shows, immersive environments, or scientific visualizations, the higher resolution will be invaluable. Starfields will also look better, especially with the high contrast and our high quality proprietary lens. Despite all these features, the price is a fraction of other high quality full dome fisheye planetarium systems of similar resolutions! Field of View 180 degrees, full sky. 180 x ~155 degrees. Maximum Dome Diameter Around 52 feet/16m in full dome projection mode. Brightness is the main issue, since the larger the dome, the larger the surface area the light from the projector must cover. Lamp life Up to 2000 hours on high. 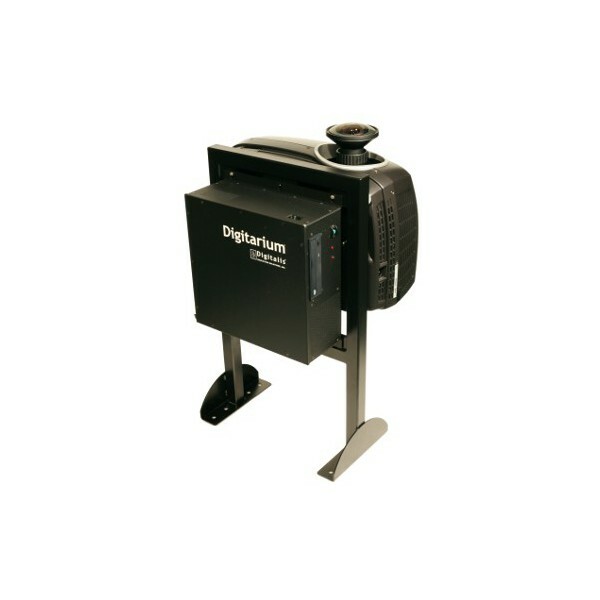 Image Quality Digitarium Epsilon systems use our most advanced proprietary lens design for the best projection quality available inDigitarium systems. Internal Storage 2000 GB expandable up to 8 TB or more. 1 TB (1000 GB). Used to store images, videos, data sets, and scripts on the system for your convenience. 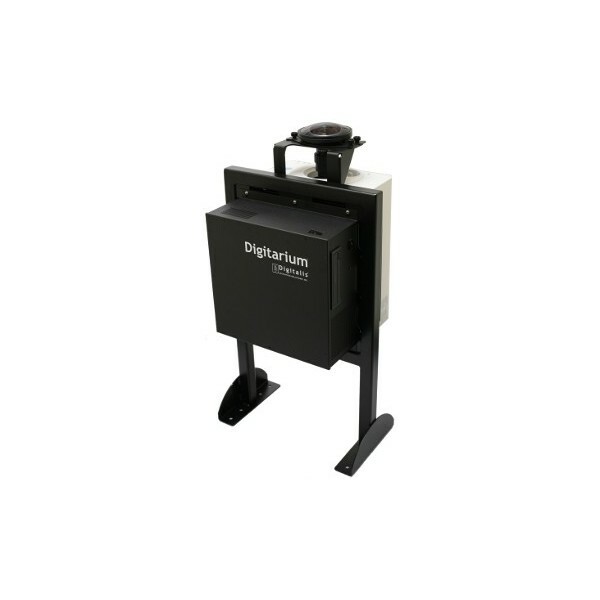 TheDigitarium CU-1 control unit currently supports an additional 3 TB for add on data sets.